We are committed to integrating housing with the natural environment by being energy and water self-sufficient, using sustainable building materials and adhering to green building practices. We are hyperlocal in our approach to food security. By starting small and incrementally increasing farm production, we will provide food for our Hōkūnui ‘ohana, upcountry residents and island-wide Maui community. Our goal is to be a fossil fuel-free community, using 100% renewable sources for energy. We are committed to being responsible stewards of the land through the application of best practices in conservation and re-creating native habitat through forestry. We seek to build trust through transparency with the local community, and are committed to being a leader in community education, employee satisfaction, cultural respect, and environmental responsibility. Through our projects and partnerships we aim to strengthen the environmental, cultural, human and economic resources of the local Maui community. We strive to make decisions using a non-hierarchal structure, governing by consensus with a core group of our staff. We incorporate the following smart growth principles into our community design: equitable housing choices; preservation of open space, farmland and watershed; walkability; stakeholder engagement; strong sense of place; mixed land use. Our potable water system and farm activities are currently 100% powered by solar energy. All houses are being designed to be energy self-sufficient with solar. We run most of our farm equipment on locally produced Biodiesel and have two electric farm vehicles. Three of our existing farm trucks run on fossil fuel. As our meat processing facilities come on line we need to initially power the commercial refrigerators and freezers though the electric company while we work on a medium-term plan to offset that energy use with solar. We are ramping up our lamb and beef programs with a goal of providing a consistent source of local meat to the community beginning in Fall 2018. 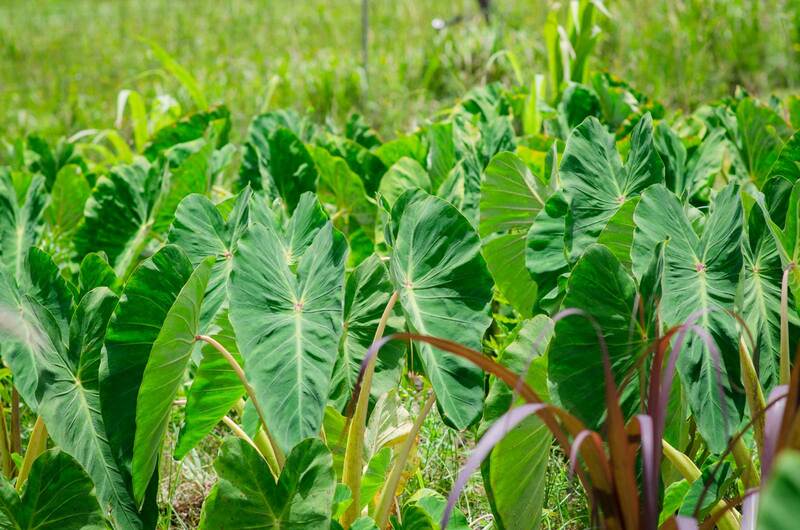 Our forestry program has recently planted about 2-acres of native plants and canoe crops that will soon yield banana, sugar cane, sweet potato, taro and more for our community. 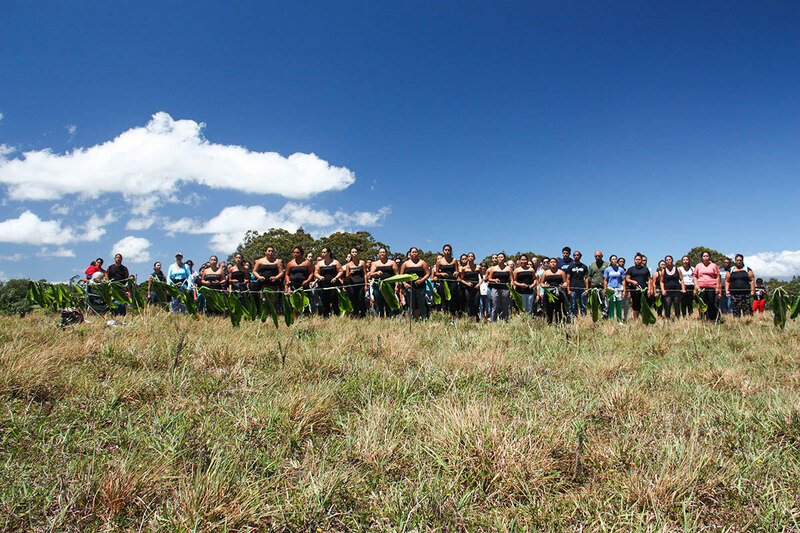 Our strongest expression of local resilience is our forestry program and our partnership with Hālau Kea‘alaokamaile and the native Hawaiian community to develop a community forestry resource. We have a conservation plan for the property with NRCS (Natural Resources Conservation Service). 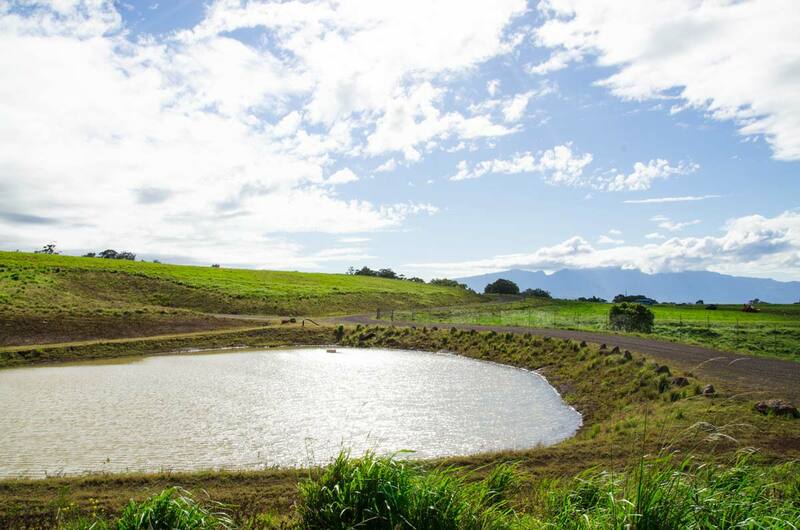 In order to preserve the watershed, conserve water and prevent runoff we have designed a system of six ponds, which capture surface water for agricultural use. One pond is complete and construction on the second will begin in July 2018. After a difficult summer of drought and subsequent overgrazing in 2017, we have been giving the pastures a rest and are now practicing non-selective rotational grazing again, while gradually increasing herd size to a sustainable level. An on-site native plant nursery and in-ground seed bank are being nurtured to provide stock for continued native forestry. Each housing lot has a high-end and an affordable home on the property. The affordable housing is being prioritized for Hōkūnui staff and an additional farm-worker dwelling is being planned, as well. A key concept we are applying to preserve farmland is to limit the sizes of the housing lot, pooling the additional land back into farmland. We have abandoned a hierarchical management structure, our core team meets every two weeks and important decisions are made by consensus. Departments are charged with making their own day-to-decisions. This process is challenging and time consuming, but we believe the personal and organizational work required to pioneer this structure in our company will yield the collaborative community that we want to create. As the housing community is built out and the homeowners association is formed, we will model a consensus approach to governance. Stay tuned! We are finalizing our first housing designs with a goal to begin construction in 2018. Hālau Kea‘alaokamaile and the Hōkūnui Forestry staff have been leading the way for us in respectfully engaging with the Hawaiian community, and with conducting community education in the cultural practices, uses and care of native plants. While we have been well intentioned, employee satisfaction has been a learning edge for us. We have had a number of key staff transition out of our organization over the last few years. The natural chaos of a visionary, ambitious start-up combined with a non-hierarchical management structure has proved challenging for some. At this mid-point of 2018, we have settled down as a harmonious core team and have taken steps to clearly define roles and responsibilities in order to become a more efficient organization. We have also undertaken communication training and have adopted practices for speaking respectfully to one another in order to avoid misunderstanding and reduce conflict. In the area of environmental responsibility we have a mixed report card. Our forestry, water and energy programs are outstanding. Our pasture management has been challenging. 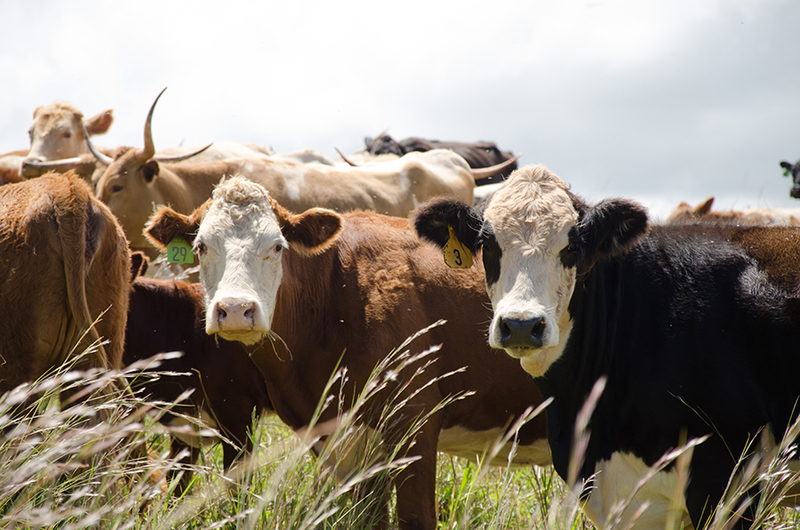 During a season of abundant forage we ramped up the number of animals on the land, during the next season of drought we were overstocked and the pastures suffered. We use animals for land management and to build soil, at this stage we are slightly under stocked, but proceeding cautiously in order to strike the right balance.